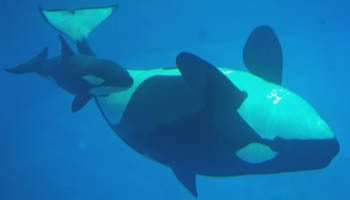 S eaWorld reported Friday the Killer Whale Takara and her new calf are successfully bonding, as the baby has begun nursing. 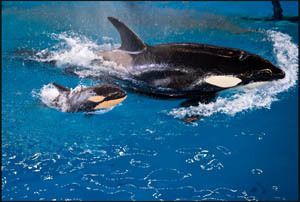 Takara, the 25-year-old matriarch of the orca pod at SeaWorld San Antonio, gave birth to the calf at 2:33 p.m. Central Time, April 19, 2017. A team of veterinarians and animal care specialists were on hand for the historic birth and continue to monitor Takara and her calf 24-hours-a-day to help ensure a successful start. “We continue to observe Takara’s calf during these first critical days and weeks, and are happy to report that the calf is nursing on a regular basis,” said Chris Bellows, Vice President of Zoological Operations. The calf’s gender is not yet determined. 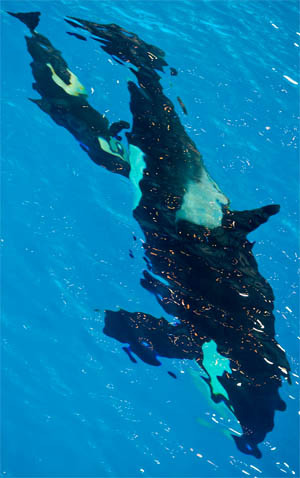 The birth of Takara’s calf is the last killer whale birth at a SeaWorld park and it is also the last chance for researchers to study orca development in ways that cannot be done in the wild, helping to benefit wild whales as well as those in SeaWorld’s care. 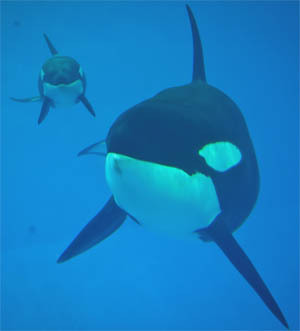 Takara was already pregnant when SeaWorld made its announcement that it would end orca breeding in March 2016. This entry was posted in Science on April 22, 2017 by admin.